Nepacs has run services for prisoners’ families and friends for many years. We work in partnership with our local prisons to ensure that we provide child-friendly, welcoming visitors’ centres or visits halls in all north east prisons, staffed by Nepacs support workers and volunteers who can provide information and support to people visiting their loved ones. Thanks to funding from the Big Lottery and the government we are also able to provide family support services within four north east prisons (Low Newton, Deerbolt, Kirklevington and Holme House) and we will continue to campaign for government funding to ensure that family support services are available in all prisons. Find out more about the range of services we provide in each prison here. 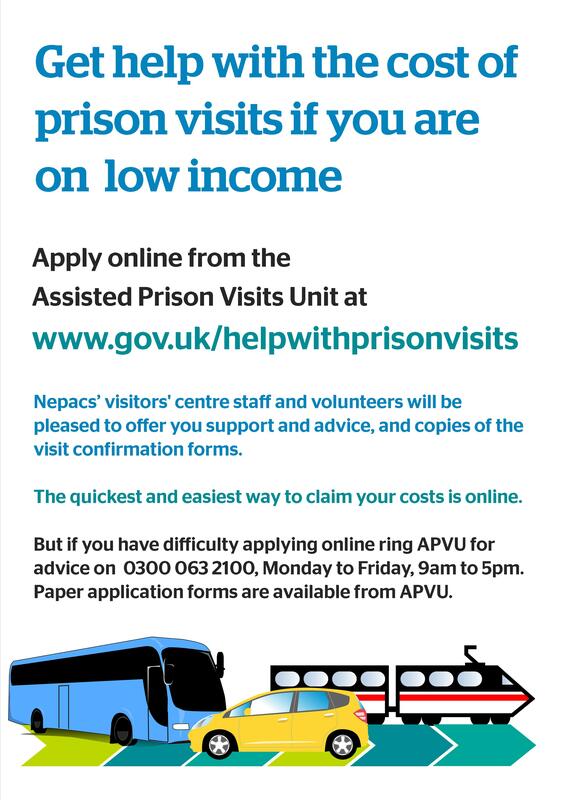 To find out more about visiting a north east prison and keeping in touch with prisoners, click here or click on the links below for the relevant prison. Please be aware that if you have a concern for a friend or family member in prison, please contact the prison directly and not us here at Nepacs. You can also find information on the Ministry of Justice website and Inside Time website.